The book as it is called in big band circles for Influence is always growing and evolving. We feature original charts, arrangements and transcriptions. 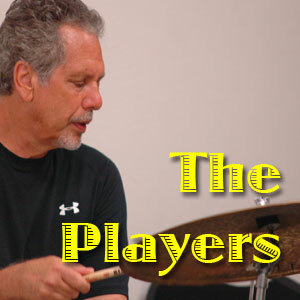 A few of the composer/arrangers charts we play are by Nelson Riddle, Billy May, Billy Byers, Billy Strayhorn, Sammy Nestico, Thad Jones, Bill Holman, Maria Schneider, John Fedchock, Bob Mintzer,Mark Taylor,Gordon Goodwin, Michael Abene,Bob Brookmeyer, Matt Harris, Don Ellis, Oliver Nelson,Earle Hagen and more. 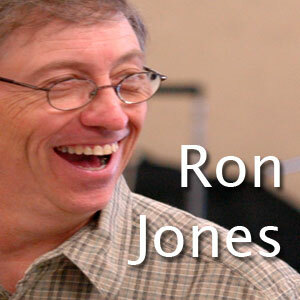 Ron Jones, the band's leader has composed and arranged several new charts and more are being added all the time. According to Jones, We both want to celebrate the great arrangers and composers that have been influential as well as explore new ideas and creative possibilities. This band lives in three zones. Typically, big bands stay on a narrow path, either rehashing the past or just doing original material. I many cases in an attempt to be at the vanguard, bands lose their audience. Our goal is to be inclusive, not exclusive. If it is good stuff we will do it. Another unique idea is for us to program music from TV and Film scores that feature a jazz or jazz oriented score. We plan to do performances that feature cues from films. Especially cues that have never been performed outside the film's soundtrack. We hope to stir the imagination and to express a wide palette of musical content. With the roots of Jazz which go back to the 1920's and through to the eclectic, electric mix of the early 21st Century we have an abundant source of music to perform.